This year we’re making an extra effort to put up as much local food as possible while it’s at its peak ripeness. In most parts of the country, apples are in big demand. 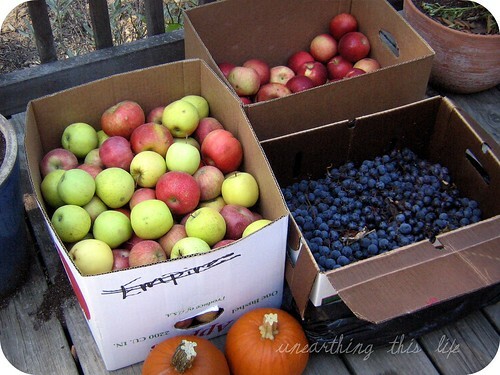 Orchards are packed and picked and farm stands are offering their very best. While my intention for apples was primarily to freeze, I couldn’t pass by a great deal on “juice apples” that a nearby farm stand had – $12 for a bushel. Juice apples are basically slightly bruised or barely overripe fruit. It’s best to combine several varieties of fruit to balance out sweetness, brightness, and tartness. 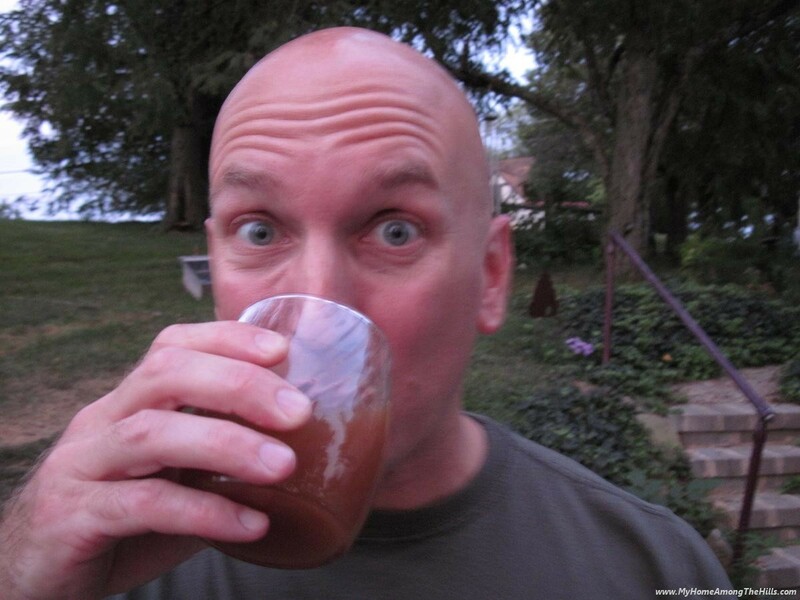 Once I got the apples home, I had to put my brain to work debating the best way to make cider without a juicer. Simple was key for me. My first experiment was fun… and messy. 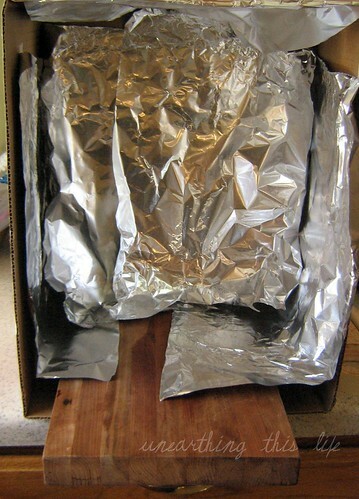 First I lined the interior of a large box (conveniently the lid from one of my bushels) with aluminum foil. Next I set my heavy-duty cutting board inside (a piece of plywood would also work) and covered it with aluminum also. 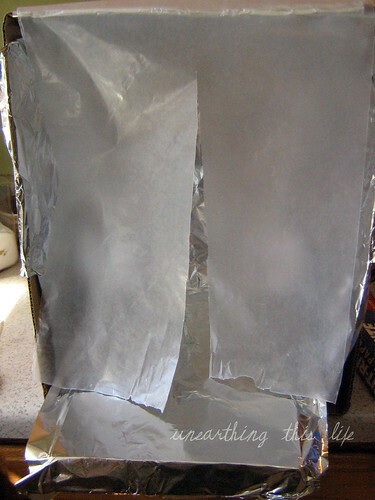 Once everything was juice-proof, I made a curtain of sorts out of wax paper and cut a slit down the middle. Now for the fun part. 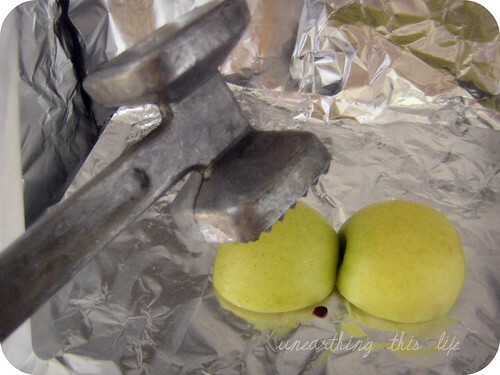 I used my meat tenderizer to smash the apples to bits! 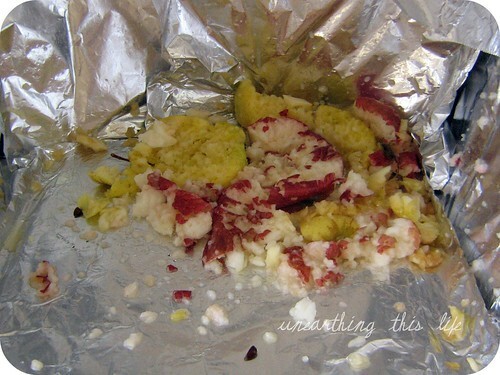 I found it beneficial to turn up the foil at the bottom edge so that any juice didn’t pour out over the floor. This would be a great project to get kids involved, or to take out any frustrations. I finished up by squeezing the apple pulp, by hand, with some good cheesecloth into a container and quickly gulped it down. It had to be the best cider I’ve ever had. Of course having a second bushel of apples to deal with meant I didn’t have much time or energy to play “Whack-an-Apple”, so I figured out the cheaters version of making cider. Quarter apples and send through the grater attachment on your food processor. 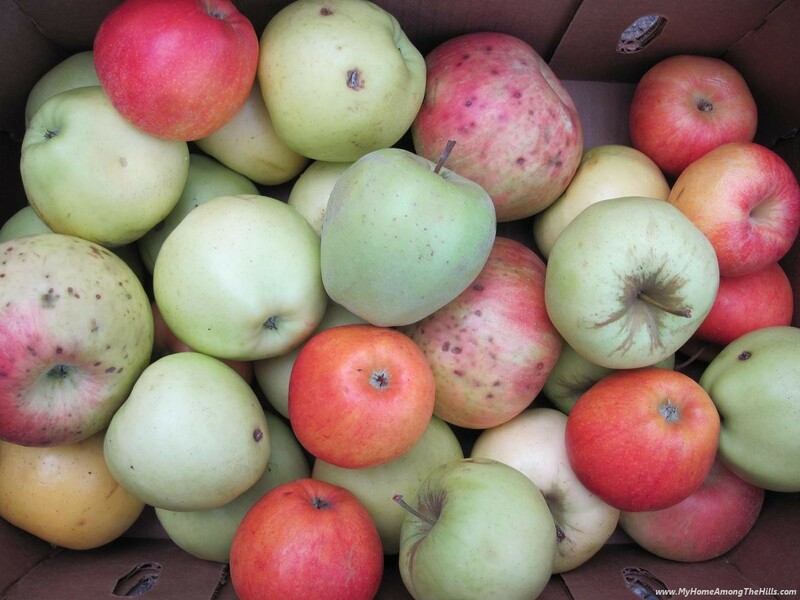 When you get through all of your apples, allow them to sit in large bowls overnight in your refrigerator. The next day wring the grated apples through cheesecloth and strain the final product if needed. Letting the apples rest overnight allows more juices to naturally release from the fruit, making your job that much easier. What’s your favorite thing to make with apples? Jennifer can also be found at Unearthing This Life where she blargs about her adventures with her Hubby, the Kid, and their life in rural Tennessee. 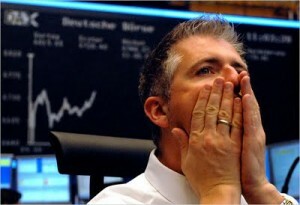 A lot of times, when one thinks of investing in the stock market, we think of some poor person staring at a computer screen, either waiting to push a buy/sell button, hoping to time it just right or of someone ready to jump off the edge of a cliff because that hot stock tip overheard in the restroom didn’t pay off and his lifesavings is lost. One can absolutely trade like that and while you can win big, more likely than not, unless you are a brilliant business person, you will lose big. Most people look at the stock market all wrong. We don’t usually go buy a new car because someone mentioned something about the latest model in the restroom. We don’t buy our house on a whim or because it has the biggest for sale sign in the front yard. In most every investment/purchase you make, you do research. You aren’t thrown about by the whims of people around you. You take your time and do it cautiously. Why on Earth would you treat your retirement or lifesavings any differently? But gee whiz, I don’t really want to research the bazillion stocks and mutual funds and all that stuff. How do I do research then? I prefer to let other experts sort of take care of that for me. Enter Lazy Portfolios. Rather than trying to buy a bunch of individual stocks that can easily rise and fall based on totally unforeseen or uncontrollable events, lazy portfolios direct the investor to regularly and faithfully invest in mutual funds or exchange traded funds (ETFs) that sample large portions of various markets. 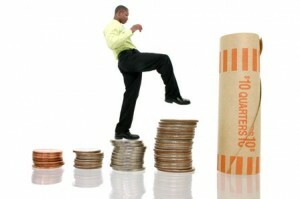 For example, you might make an investment that is comprised of all the stocks in the S&P 500 by buying one mutual fund. You’ll own a representation of a ton of stocks with one purchase of these vehicles. It spreads your money across sectors/ regions/etc so all of your eggs are not in a single basket. While very few investments of any sort have done much in the last 2 or so years, several example lazy portfolios have done pretty ok, all things considered. Of the lazy portfolios in the previous link, I like the Second Grader’s Starter…that’s exactly how we invest. It has a representation of the entire US stock market, a total representation of the international market, and a representation of bonds. We buy portions of all three every other week…not a huge investment, but a regular investment. Sometimes we buy high, sometimes we buy low. In the end, we are betting on dollar cost averaging (check this idea out!) to level the ups and downs. I don’t try to time the market. I don’t try to tell the future. I just buy and hold. Over time, my investment compounds. I don’t panic when the market slides (though I do celebrate when it rises…shhh…don’t tell!) because I know I am going to be buying low and holding. Warren Buffett, the Oracle of Omaha (read more about him…fascinating even if you’re not an investor) equated this idea something similar to buying hamburgers. He said that his household like hamburgers. They don’t celebrate and go buy lots of meat when the price of beef goes up. Quite the opposite, they are happier when they can buy it at low cost. If you buy quality stocks/bonds/mutual funds/ETFs that way, you can expect that buying low today will be a good thing as their prices will eventually rise (buying junk is always a bad idea of course). Like I said, stock market investing is not for everyone, but if you look at it with a perspective other than “normal”, you may want to give it a try. There are lots of places where you can set up automatic investing strategies with low cost transactions and low/no minimum starting values (I like sharebuilder.com). Do any of you folks dabble in the stock market? What are your investment strategies? Warren can also be found at My Home Among the Hills writing about the adventures of life in WV. 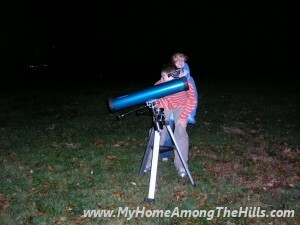 There is so very little that I enjoy about Winter but one of my favorite things to do is to star gaze during Winter. 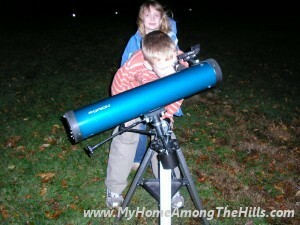 A few Christmases ago, my family got a telescope. The kids’ name was on it but everyone knew it was really for me (is that wrong of me? Wait…don’t answer). I grew up in the middle of nowhere in a place where there was almost no light polltion, whatsoever. I looked up plenty and, I suppose, appreciated the variety and sheer number of stars that one can see from a dark location. But I never really appreciated that viewpoint until I moved to the city where viewing the Milky Way or even seeing the Big Dipper can be a challenge at best. The fact is, though, I live in the city. While we try to do many things as if we live in the country, some realities are inescapable. So viewing stars is not easy in the city. But, it is certainly possible. Not only is it possible, it can still be prety awesome if you work at it. One thing that makes the Winter particularly appealing for stargazing is that the typical Summer-time haze is not an issue. Although the air is crisp, it is incredibly clear. Without haze, light pollution has a less significant effect. Just don’t lick the telescope in Winter. One of my most favorite things about Winter viewing is that a number of planets are available for viewing without waiting until the middle of the night. It gives us a chance, as a family to spend time together, gazing into space and pondering life, all before the kids’ bedtime. Well, I probably do more of the pondering than my kids do, but they will follow suit in time I am sure. So, back to the planets…Saturn is spectacular in the Winter-time. My telescope is not terribly powerful, but it is plenty strong enough to allow us to gaze upon Saturn and see, very clearly, its rings. Of course, our view of the rings is nothing like that you will see in the magazines, but I was in awe the first time I saw it with my own eyes. 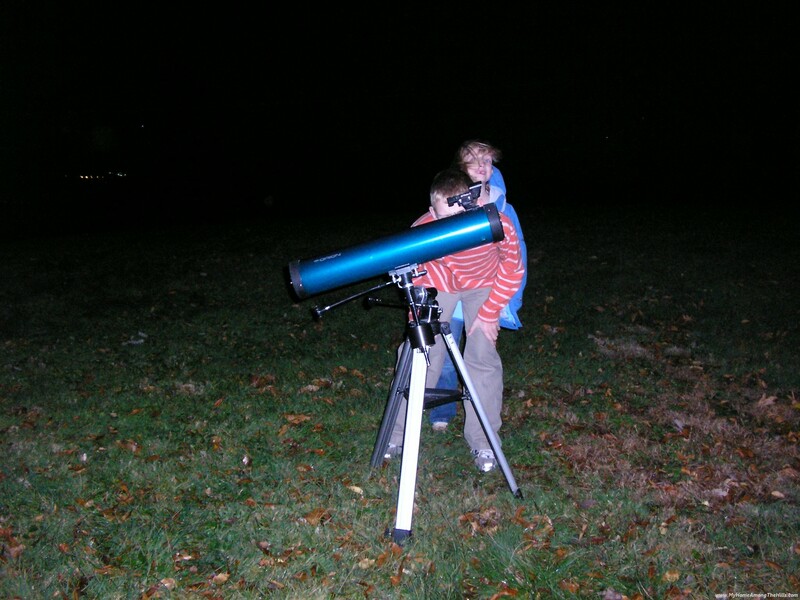 It takes quite a bit for the kids not to run a mile a minute, but when they saw Saturn, they were silent. I am no astronomer and I do not have all sorts of star charts mapped out in my head. Rather, I use a most excellent program called Stellarium. 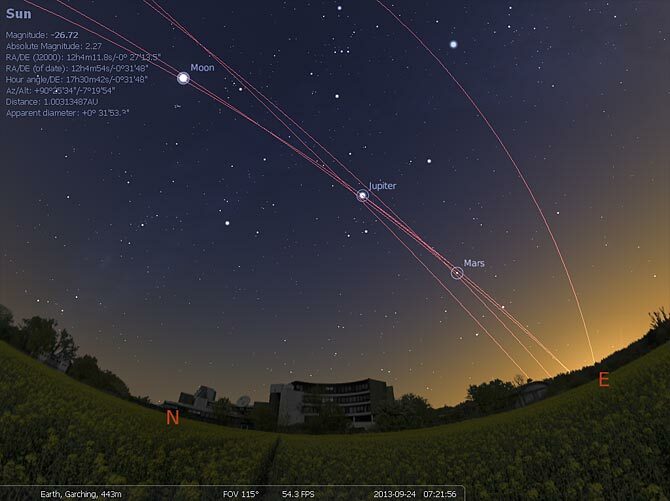 Stellarium is a free program and is written for Windows, Mac and Linux. Within the program, you set your viewing location and the program shows you the “current” sky. You can alter the time setting within the program to find when a particular planet will rise or explore stars and nebulae visible right where you are located. If you are looking for an excellent way to spend time with your family this Winter, consider spending a few dollars on a telescope (mine is from Orion and was under $200). Download Stellarium and prepare to be dazzled by the wonders you will find! After giving it quite a workout this season, it’s time to store my pressure canner for the winter. 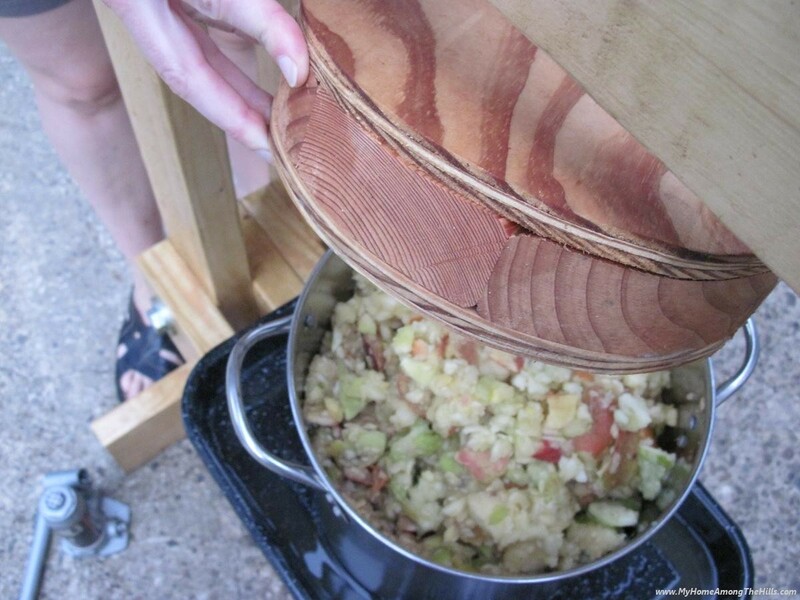 This canner was an investment for me–one that I want to last me for a long, long time. So at the end of each canning season, I need to take the time to be sure it’s cleaned and stored properly. I do get water stains from hard water. I tried a remedy I have read about. You fill the canner with water as high as the water stains go. Then, for each quart of water you used, you add a tablespoon of cream of tartar. Dissolve the cream of tartar in the water and boil until the stains are gone. Too late, I realized I didn’t have enough cream of tartar to match the seven quarts of water I needed. I dumped in all I had and boiled it for about 45 minutes. It made a significant improvement. I will definitely do this next year with the correct amounts. Below you can see the difference. Next, I washed the canner body inside and out with warm soapy water. I gave this same treatment to the rack that fits inside. I rinsed both well and allowed them to dry while I worked on the lid. Because I have a dial gauge, I can not submerse the lid in water. I removed the rubber gasket from the lid and wiped the entire lid with a warm soapy rag, then rinsed with a wet rag, careful to avoid getting the gauge wet. I dropped a needle threaded with embroidery thread down the vent pipe and rubbed the thread around the inside of the pipe to clean it. I could have used a small pipe cleaner if I’d had one. You should check your manual or contact the manufacturer for specific instructions for handling the rubber sealing gasket if your canner uses one. For mine, I swished it gently around in some warm sudsy water, then rinsed it well and allowed it to air dry. This is a good time to examine the gasket for worn spots, tears, or nicks in the rubber. (Worn or damaged seals should be replaced.) Once it was dry, I placed it back inside the rim of the canner lid. Now that all the parts are clean and dry, I can prepare the canner for storage. I placed a layer of clean, dry newspaper on the bottom of the canner. Then, I put the canning rack on top of that. I wadded up a few pages of newsprint and tossed them inside to help absorb moisture and odors that might accumulate over the next few months of non-usage. I placed the weight inside the canner so I will know where it is next time I need it. The lid gets placed on top of the canner *upside down* and not sealed. And now it’s ready to be stored on a shelf or in a closet until it is needed again. You may want to make a note to yourself or mark your calendar to make an appointment with your extension office next spring to get your dial gauge tested. This should be done each year before canning season begins. I bought this canner a couple of years ago hoping it would meet all the canning needs I would ever have. With proper care and maintenance, replacing worn parts as needed, it should last me for as long as I’m able to use it. When I was still living at home, we had a family friend that had a big farm with a great barn, a perfect orchard and an old fashioned cider press. We’d wander back into the orchard, fight our way past the yellow jackets and the post-digestion horse food to gather buckets full of apples to press. I don’t have a barn or a big farm, but by granny, I can have a cool cider press. I ciphered and pondered and cogitated but then just decided to get down to building. A few splinters later and I had a working cider press. Come along and see how we make awesome apple cider on our home grown cider press. I talk a little about the details of construction over at My Home Among The Hills if you are interested. We have a special sledge hammer that I bought new and coated with food grade paint. 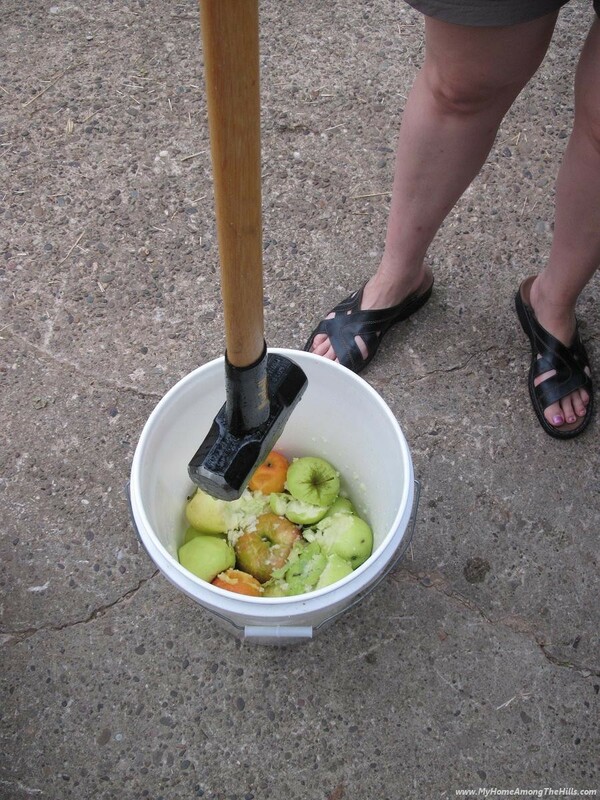 We manually mash the apples in a food grade bucket by dropping the hammer on it. We use an 8 pound hammer because I felt bad watching my daughter try to lift a 16 pound hammer. Anyhow, the more you mash up the apples, the more juice you can press from the pommace (that’s the name of the crushed up apple mess). There are fancier (and probably more effective) ways to grind apples, but not many that are cheaper or more fun! 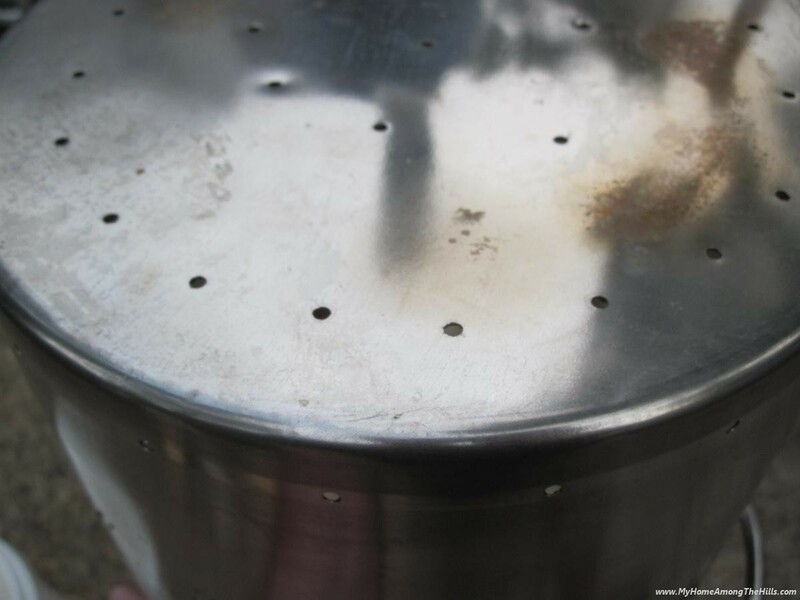 We press the pommace in a stainless pot which has holes drilled throughout. I take my…uh…very best bottle jack and let it apply 6 tons of pure, apple smashing power! The juice drains as if it can’t wait for me to drink it…and drink it we do! We usually drink a few glasses straight off the press, but I prefer it cold so we save most for later. 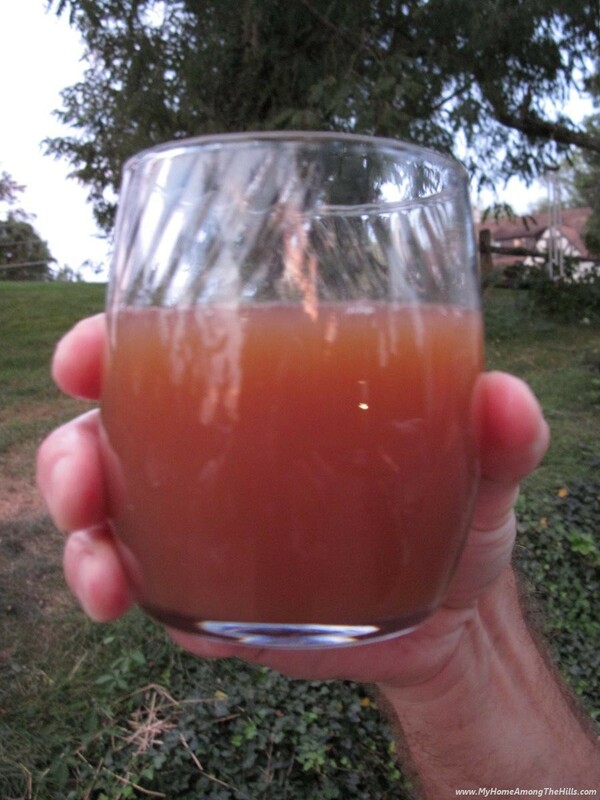 I understand that fresh cider will last a week or so if kept cold but we’ve never tested that. It never lasts that long! 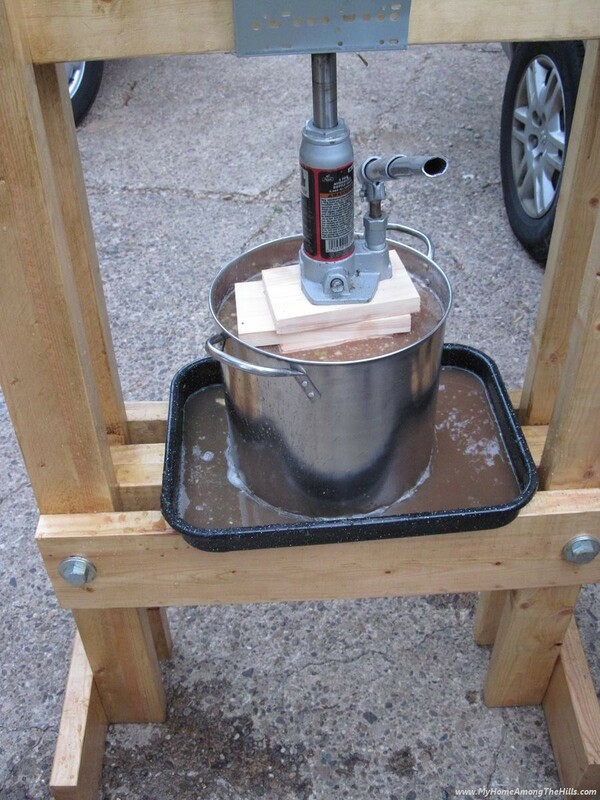 So, if you’ve ever dreamed of making cider, if your heart longs to smash apples, if you need to become one with your favorite bottle jack, I encourage you to make your own cider press and let the cider flow! I spend a lot of time in the kitchen this time of year. I’m freezing, dehydrating, and canning to stock my pantry for winter in addition to preparing all of our daily meals. It’s time consuming but well worth the effort. I’ve never been a big believer in the idea that you have to have the latest and greatest gadgets for your kitchen chores, I do however believe you should own a few high quality tools to help maximize time and effort. There’s a lot to be said for hand tools, like a chef’s knife, a paring knife, and a vegetable peeler. Properly cared for and sharpened they make your prep work quick and easy. If you’re a beginner, practice really does make perfect in using these tools. I personally prefer a box grater to a food processor in that its much easier to clean and takes up a small amount of room in my cabinets. A few funnels of various sizes makes quick work of canning and bottling. Though not completely necessary, I’ve found that they keep the mess to a minimum. Beyond basic tools is basic maintenance. Keeping a knife sharpened will save you much time and effort. Keeping your equipment clean and oiled as appropriate will save you time and money in the long run. Making sure your gauges read accurate is not only a convenience but in the case of pressure canning of life-saving importance. Check your oven & freezer temperatures with a thermometer that is not part of the machine, oven temperature gauges are notoriously incorrect, having an accurate temperature will save you from burnt cookies or cakes with raw centers. A properly tested pressure gauge can be the difference between botulism laden jars of chicken broth and healthy food from your pantry. A little time and money spent on good tools and maintenance know will save you time, money and energy over many years to come. Recently, I suffered a small bout of insomnia and tried watching some late night TV in the hopes it would put me to sleep. It did eventually, but I was astounded by the amount of kitchen gadgets advertised to make life easier. Most of those gadgets are replacements of some sort for a good kitchen knife and knife skills. Honestly, my chef’s and paring knives are used every single day and because of that they are some of my most prized tools. When purchasing knives, buy the best quality you can afford. I can’t stress this enough cheap knives don’t last and a good one will last you a lifetime if properly maintained. Take your knives for a test drive before purchasing: feel them, handle them like you would cut something, make sure it feels right too you and has a good balance. Once you find the knife of your dreams care for it properly. Cut with the knife on a chopping board in order to prevent unnecessary damage or wearing of the blade. Keep the knife clean and don’t allow it too soak in water – simply hand wash and dry after every use. Most importantly, keep those knives sharp (Cooks’ Illustrated has a great tutorial). Learning how to properly use a knife is an entirely different animal. If you are blessed to live in an area that offers knife skill classes – take one if you’re inexperienced. The class will save you time and frustration in the kitchen. If you don’t live in such an area there are multitude of videos and articleson the web. No matter what, however; you will need to practice, as in all things: practice makes perfect. Save yourself some time and money: get a good knife or two and some skills to go with that knife. You’ll then be able to ignore all those chopping, dicing, get it done in a second ads on TV.